Family Value Soft Taco Kit is perfect for hungry families! Soft Tacos are a Mexican classic - fill them with anything you like! From classic seasoned beef mince, to shredded chicken and slow cooked meats. Just add fresh ingredients, a tangy salsa and your choice of toppings. 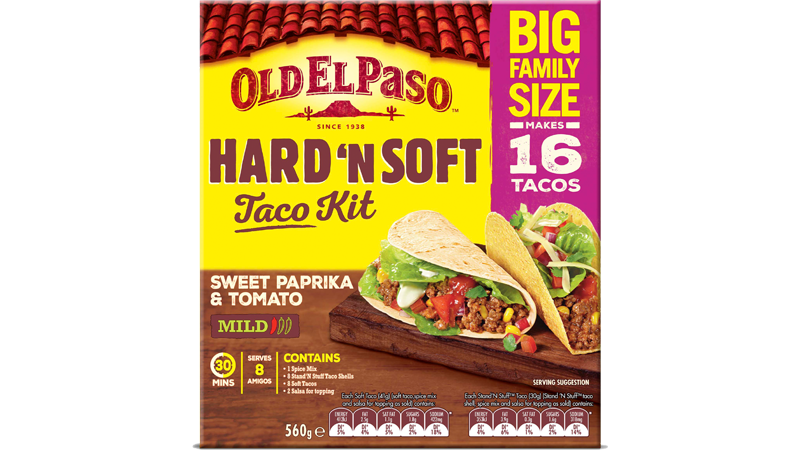 Soft Taco Kit contains 16 Soft Tacos, Taco Spice Mix, Mild Taco Sauce and Guacamole Spice Mix so you can create this Mexican favourite at home.